Over the years the Kitchen Sink has remembered the stories of Cranbrook Institute of Science Director, Dr. Robert Torrens Hatt. But did you know that his wife of 22 years, Marcelle Roigneau Hatt, was also a respected scientist and exhibition curator? Marcelle Roigneau Hatt by the “big bomb”, Mexico, ca 1947. Photograph by Robert T. Hatt. Courtesy Cranbrook Archives. Marcelle was born on October 19th, 1898, in Bordeaux, France, to Hubert and Francine Chetot Roigneau. After moving to America, she took courses at Columbia University in vertebrate zoology, evolution of man, and vertebrate paleontology with Profs. James Howard McGregor and William King Gregory, who both rated her highly among their students. Marcelle worked as a staff assistant in the department of Human and Comparative Anatomy at the American Museum of Natural History (AMNH) in New York. 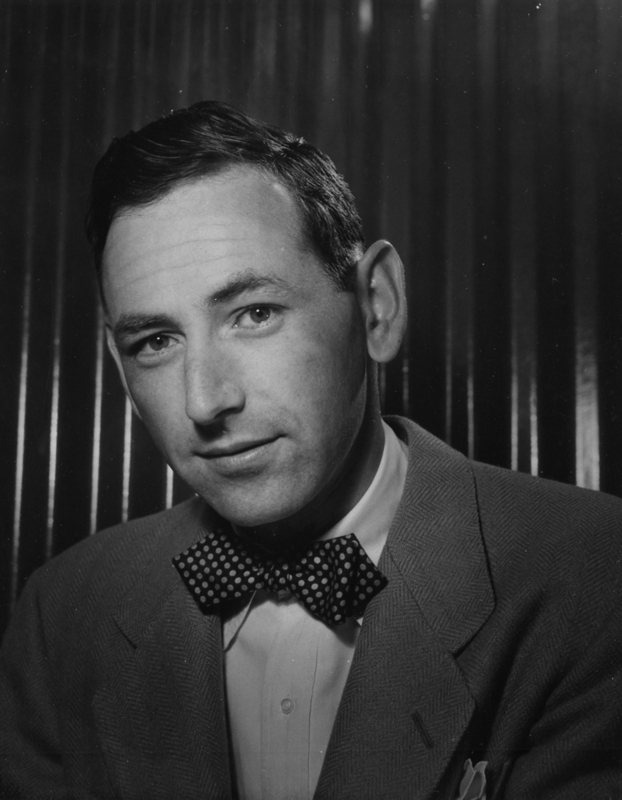 Robert T. Hatt also worked at AMNH from 1928-1935 as the Assistant Curator of Mammals. Robert and Marcelle were married in 1929. 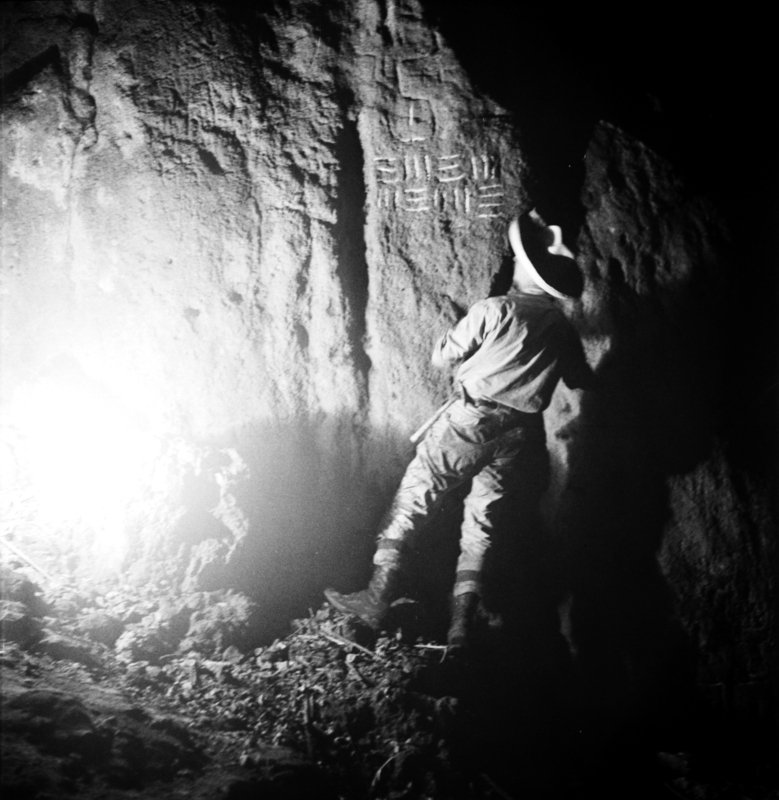 In the Fall of 1930, they traveled together to the Yucatan on a grant-funded expedition to discover evidence of a possible land connection between the Yucatan and the West Indies. 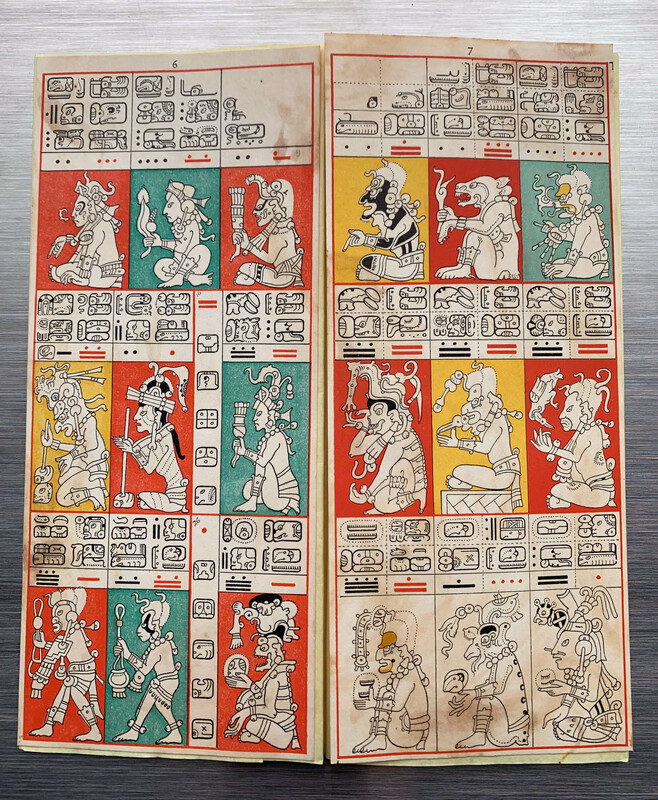 The first few weeks were spent at the ruined Maya city of Chichen-Itza where mammals and reptiles were collected. Following this, the Hatts explored a large number of caves in the Yucatan’s low mountains, for the remains of extinct animals. Fossils were obtained in every site excavated, though the numbers were small. Following the Yucatan expedition, Marcelle was engaged in planning a series of exhibitions as an introduction to Human and Comparative Anatomy. 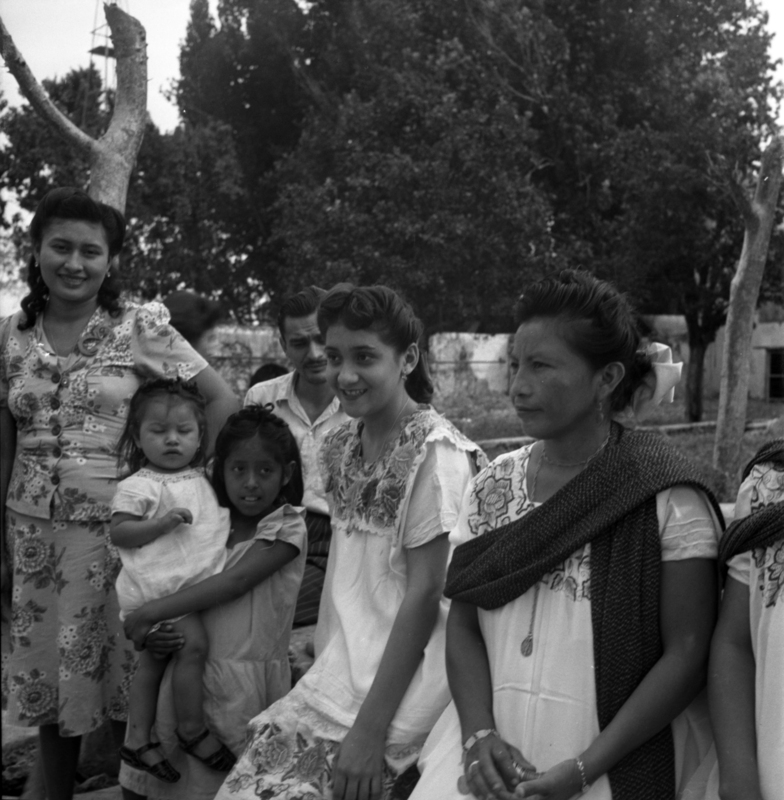 The exhibition, “Top of the World in Yucatan” described her experiences on the expedition with her husband. 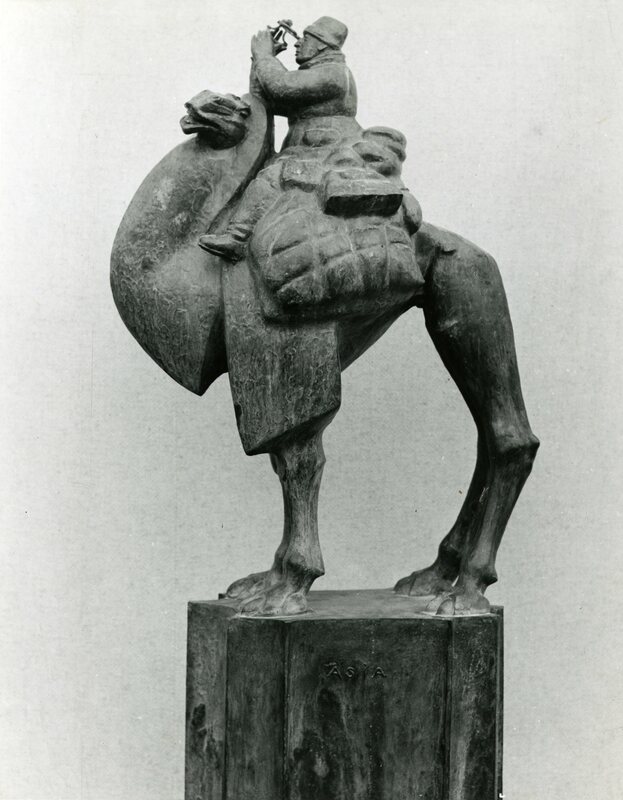 In 1934, Marcelle was promoted to Assistant Curator in the Department of Comparative and Human Anatomy at AMNH. 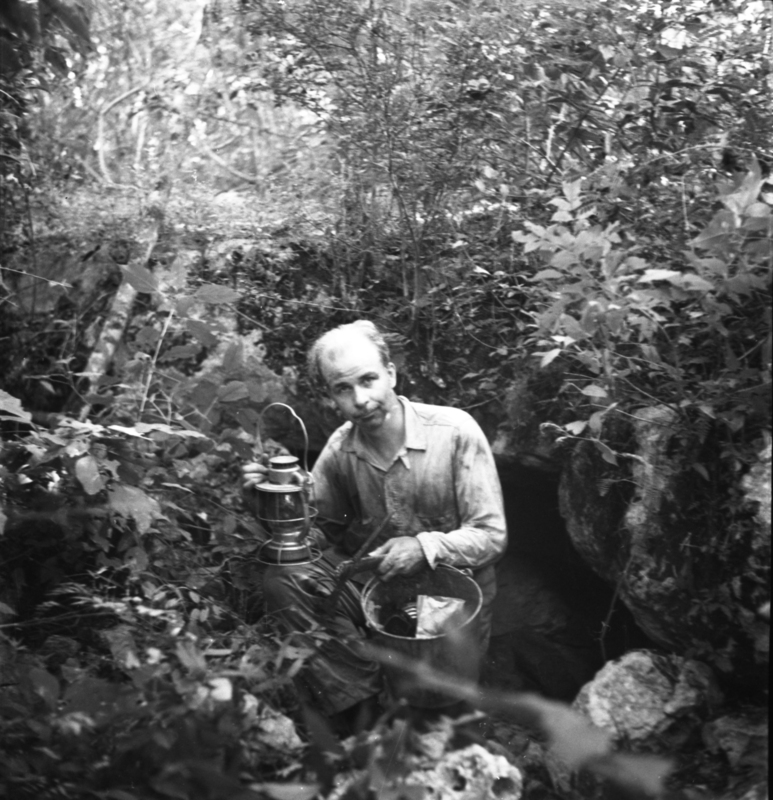 Marcelle Hatt and consulting mineralogist, Archibald N. Goddard, standing on a lava front in the forest in Mexico, ca 1947. Marcelle R. Hatt on horseback in Mexico, ca 1947. Marcelle continued to work on a variety of projects at CIS during the 1930s and 1940s, including photographing specimens, assisting Dr. Hatt on additional field trips to Mexico, and curating an exhibition of Native American baskets that opened in April, 1941. Exhibition catalog prepared by the Art Project of the Works Project Administration, Detroit, by the silk-screen process. Printed on the Cranbrook Press, 1941. “Basketry of the North American Indians” opened on Easter Sunday. The exhibition featured examples of baskets from pre-historic cave dwellers to woven hats, snowshoes, and mats of Modern Michigan tribes. 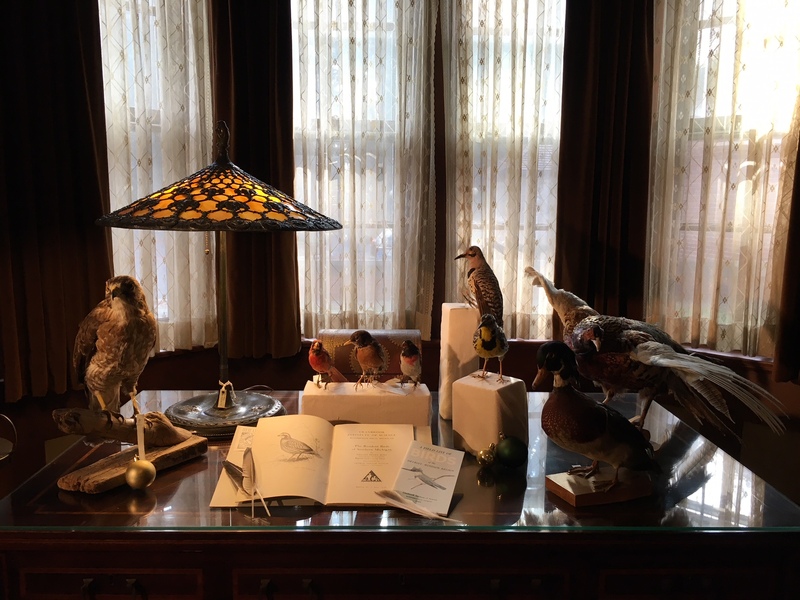 Marcelle Hatt organized the display of 183 specimens and the accompanying catalog. 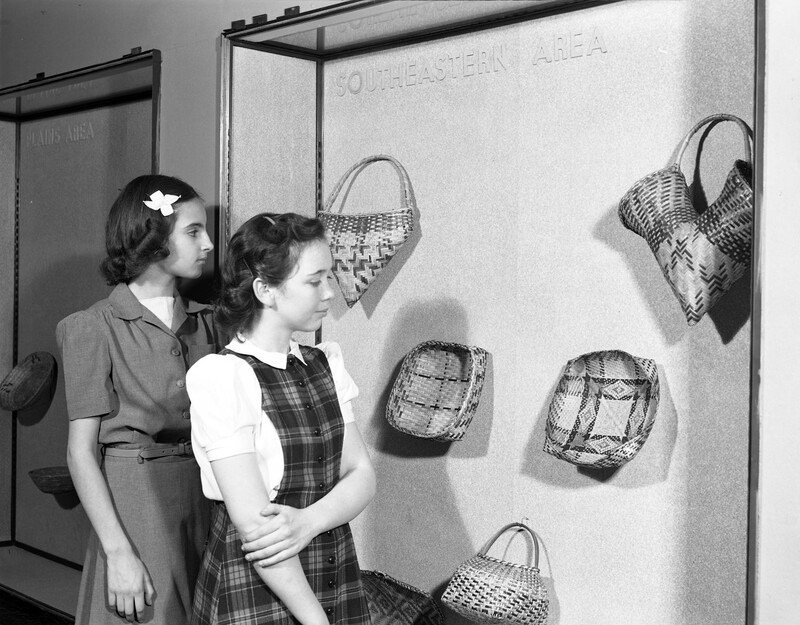 Visitors at the “Basketry of the North American Indians” exhibition, 1941. On March 27th, 1951, Marcelle Roigneau Hatt passed away at the young age of 52. Her contributions to Human and Comparative Anatomy live on in the Journal of Mammalogy, Science, and The Science News-Letter of the American Museum of Natural History. “Science News.” Science 79, no. 2058 (1934): 8a-11a. “In Science Fields.” The Science News-Letter 25, no. 684 (1934): 312-13. Hatt, Robert T. “Notes concerning Mammals Collected in Yucatan.” Journal of Mammalogy 19, no. 3. The Robert Torrens Hatt Papers, Courtesy Cranbrook Archives/Cranbrook Center for Collections and Research. 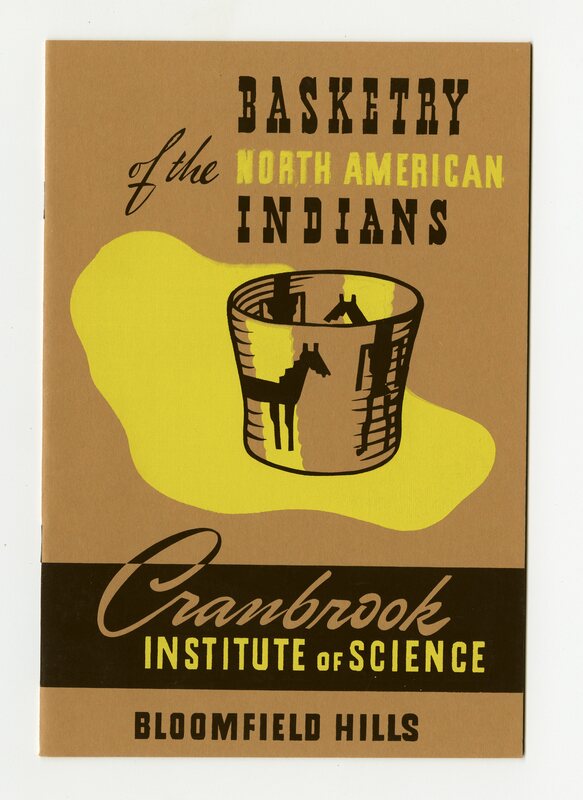 The Cranbrook Institute of Science Director’s Papers, Courtesy Cranbrook Archives/Cranbrook Center for Collections and Research. Astronomy was included in the curriculum at Cranbrook School from its beginning in 1927. Judge Hulbert was chairman of the Observatory Committee and, with Prof. Curtis of the Astronomy Department at the University of Michigan, pursued plans to create a school observatory in what is now called Hoey Tower. The tower conditions were not conducive to keeping a telescope and an alternative location was sought. Consequently, an observatory was included in plans for an Institute of Science designed by George G. Booth in 1930 and the telescope was moved there. 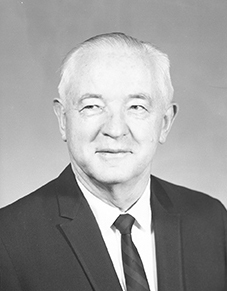 William Schultz, Jr. supervised the relocation of the telescope. Schultz was a general science teacher from 1930 to 1969, and Head of the Science Department at Cranbrook School (1938-1965). 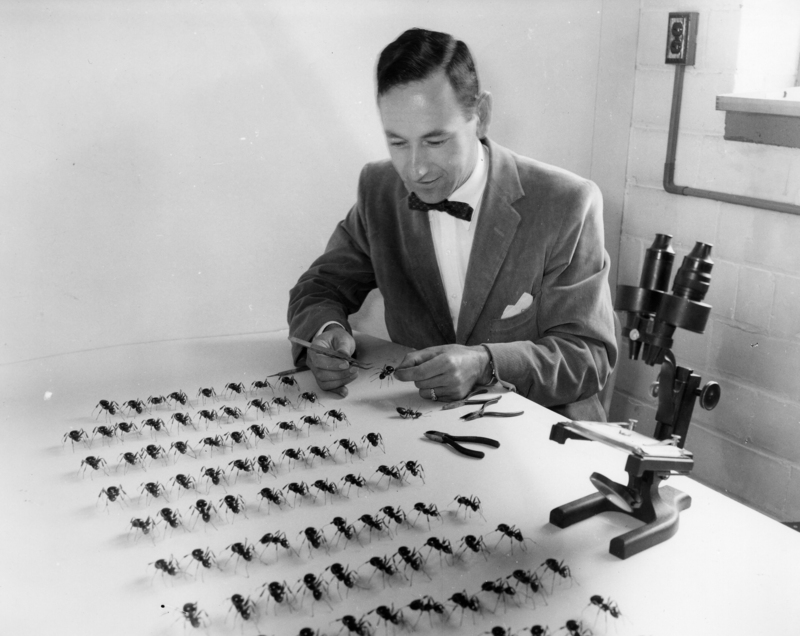 He was also an Associate in Astronomical Education with the Cranbrook Institute of Science from 1945. You can read more about the history of Cranbrook Observatory here. Copyright Cranbrook Archives, Photographer: Harvey Croze. “Even in its uncompleted state one is impressed by the beauty of the new building—the sheer simplicity of the architecture, the artistry of its mathematical precision. One feels that it not only embodies the spirit of a scientific institution in its severity of line, but that the details of design give it a unique individuality. From the empty air, as it were, Mr. Saarinen has created one more evidence of his architectural genius.” (Aimee S. Lambie (Ed. ), CIS Newsletter, April 1937). The newsletter also reported the addition of a Copernican planetarium, a gift of Mrs. George G. Booth. The planetarium was made to order in Munich, Germany. 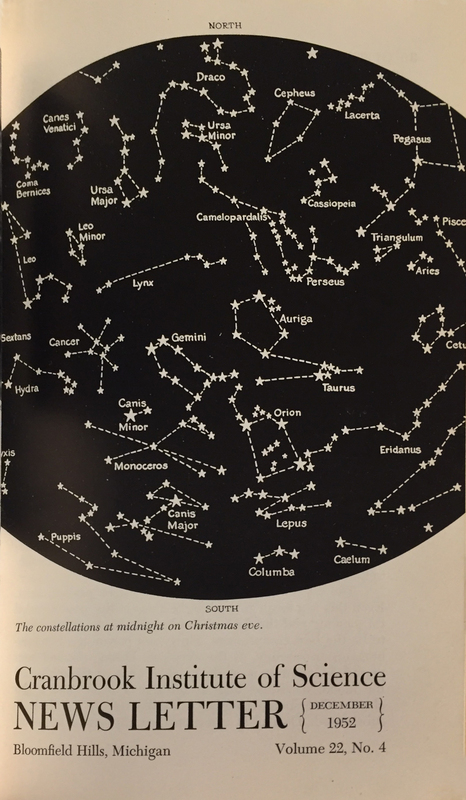 In the spring of 1953, the Astronomy program began to include demonstrations of the constellations on the inside of the observatory dome, using a star projector designed and built by William Schultz, Jr. Schultz was already using the projector to teach astronomy in general science class at Cranbrook School because it produced, “an amazingly good illusion of the starry heavens”. 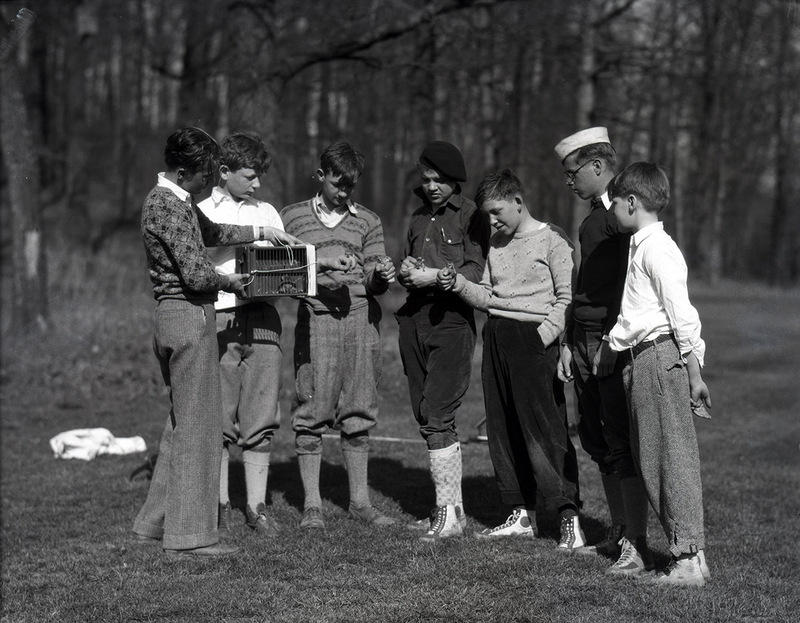 Developed with a materials cost of 45 cents, Schultz’ innovation was a distinguished addition to the astronomy program, but it also created the impetus for a facility and a projection instrument of wider application. 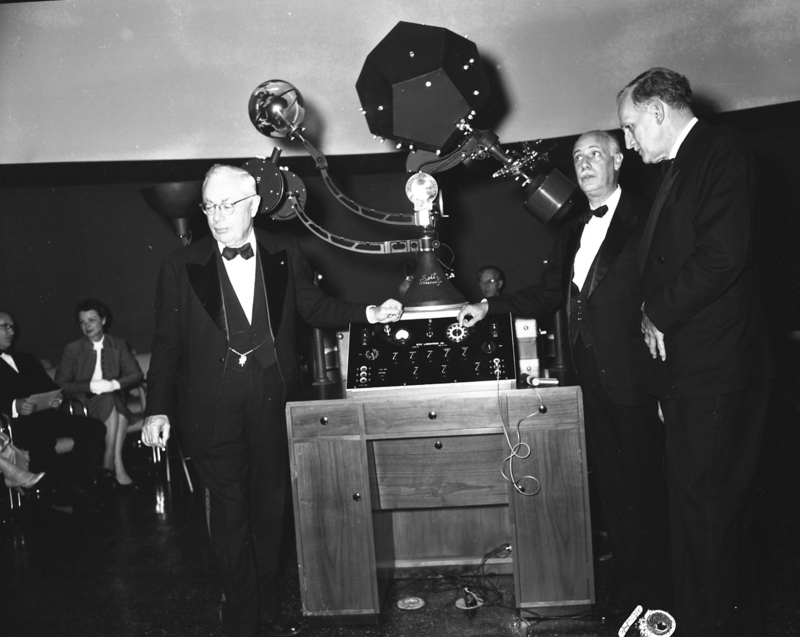 In June 1953, the Committee on Education made a proposal for the purchase and installation of a Spitz Planetarium to the Annual Meeting of CIS Trustees. In December the same year, L. James Bulkley and Dr. Robert McMath were appointed and authorized to act as a committee of two to pursue the Spitz Planetarium. During 1954, CIS Trustee William Edward Kapp drew up architectural plans for the Planetarium addition at no fee as his contribution to the project. The Spitz Model A-1 projection instrument was also obtained, a gift of Detroit Edison Company. 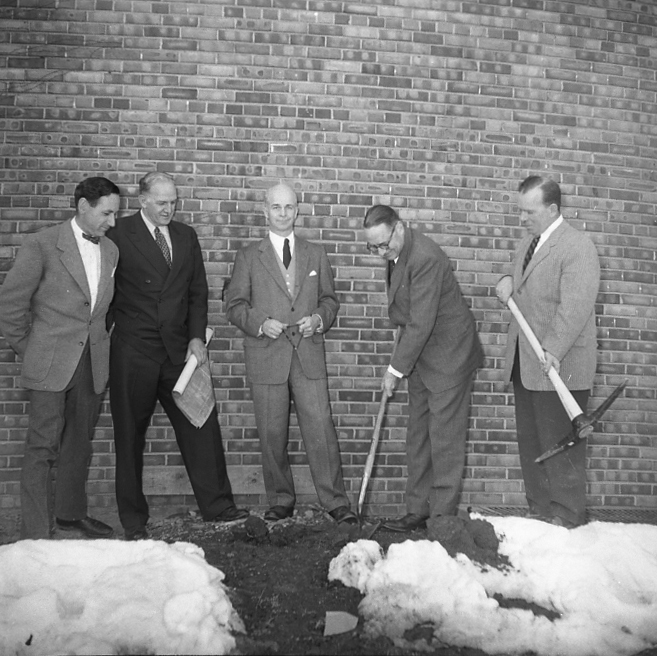 The construction contract was awarded to Killfoile-Wendeln Construction Co. and groundbreaking took place on March 30, 1955. Construction went on through the summer of 1955. 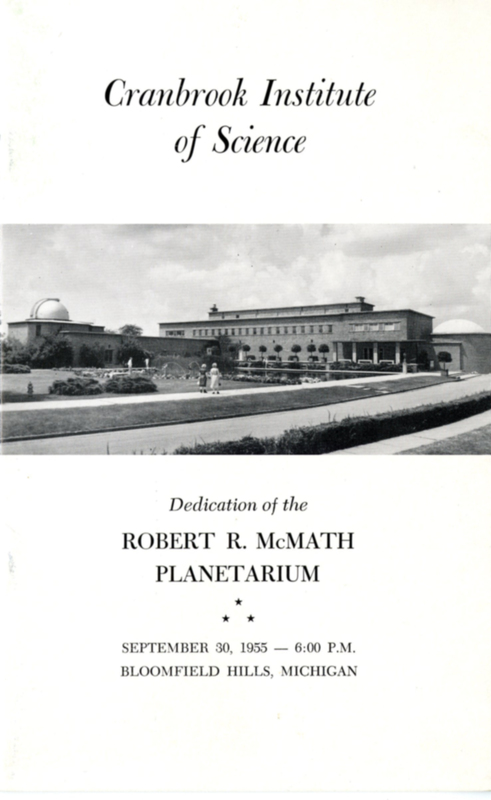 The Planetarium was formally dedicated on September 30, 1955, with an Invocation by Rev. Robert L. DeWitt, remarks by Mr. Kapp, a dedication address by Dr. Alexander G. Ruthven, President Emeritus of the University of Michigan and Institute Trustee, comments by Dr. Robert McMath, and demonstration by Armand Spitz, the designer of the projector. When it opened in October 1955, Robert R. McMath Planetarium was the first public planetarium in Michigan. The following photograph shows Dr. Robert McMath (left), Mr. Armand Spitz (center), and Mr. William Edward Kapp (right) at the dedication event. Between 1956 and 1971, there were 17,289 demonstrations in the Planetarium and it was time for a new projector. 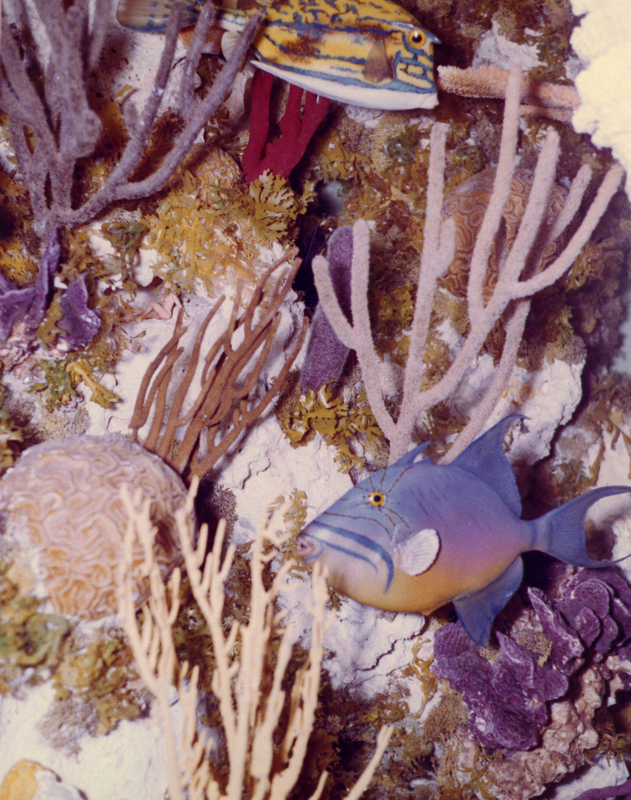 Schultz supervised the renovation of the planetarium, which reopened in October 1973 with a new Spitz 512 Planetarium instrument. The planetarium has since undergone further renovation and upgrades, courtesy of the Michael and Adele Acheson family. You can learn more about astronomy and the current programs at the Acheson Planetarium here. Thanks to a generous grant from the Fred A. and Barbara M. Erb Family Foundation, thousands of negatives from the collections at Cranbrook Archives have been re-housed to ensure their long-term stability and preservation. 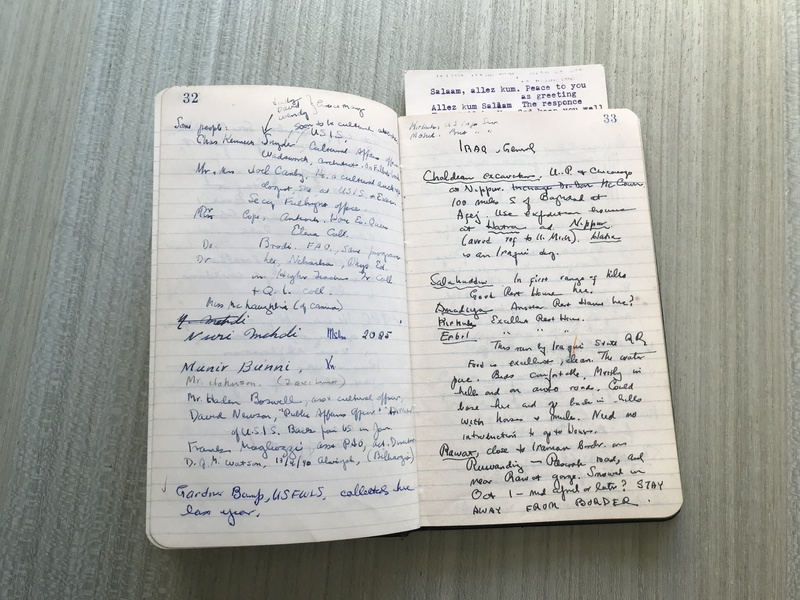 One of these collections, which documents a research trip conducted in the Middle East by Cranbrook Institute of Science (CIS), has been digitized and is now available to users from our online database. 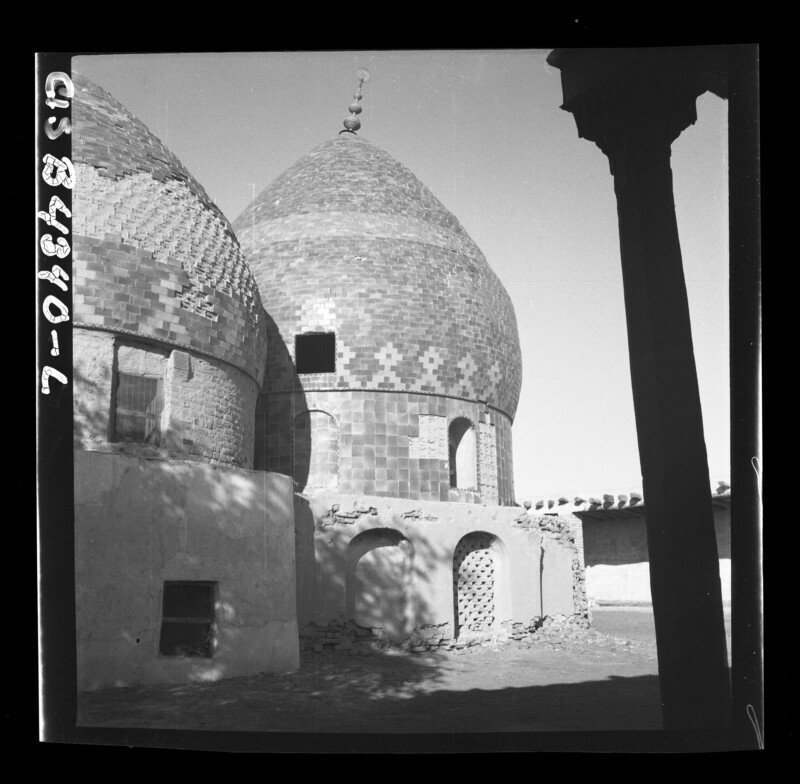 Domed Structures near Babylon. Photograph by Robert T. Hatt. 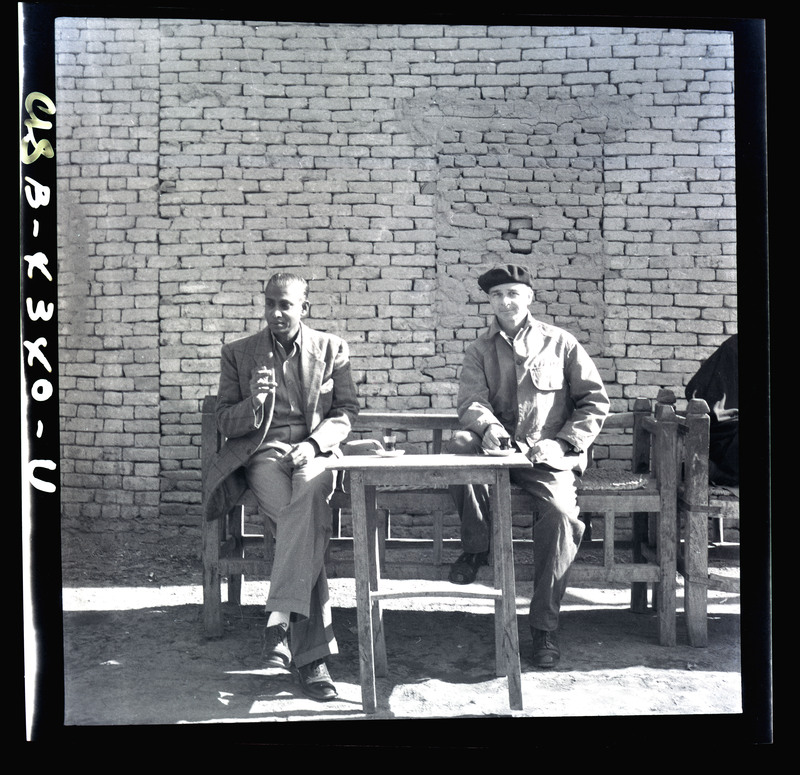 From 1952-1953, Dr. Robert T. Hatt (Director of CIS from 1935-1967) led an exhibition in Iraq, Syria, Jordan, and Egypt. 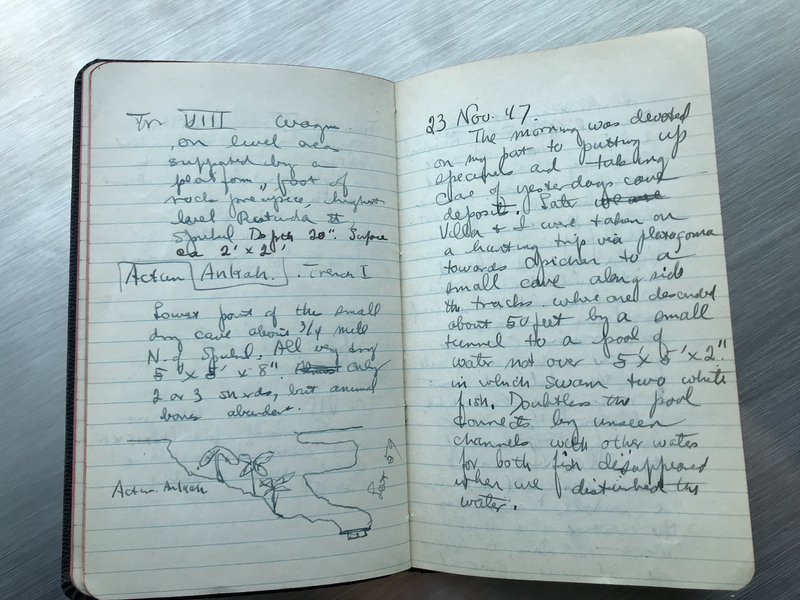 Hatt recorded his observations in a travel journal which is part of the Robert Torrens Hatt Papers at Cranbrook Archives. 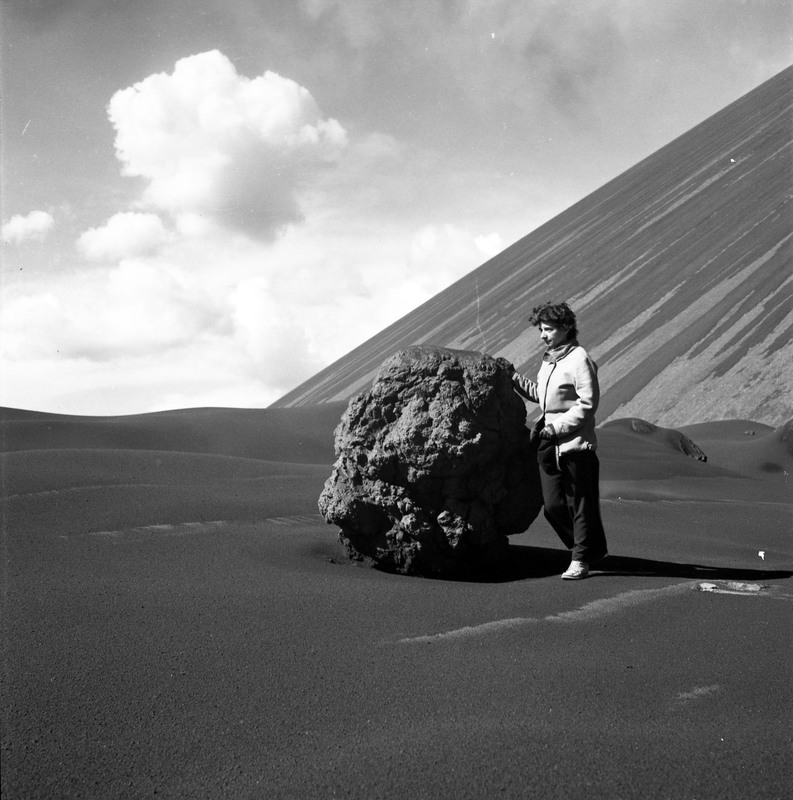 In addition to his research and work as a scientist, Hatt was an avid photographer. Our collection includes more than 400 photographs taken by Hatt during his travels. 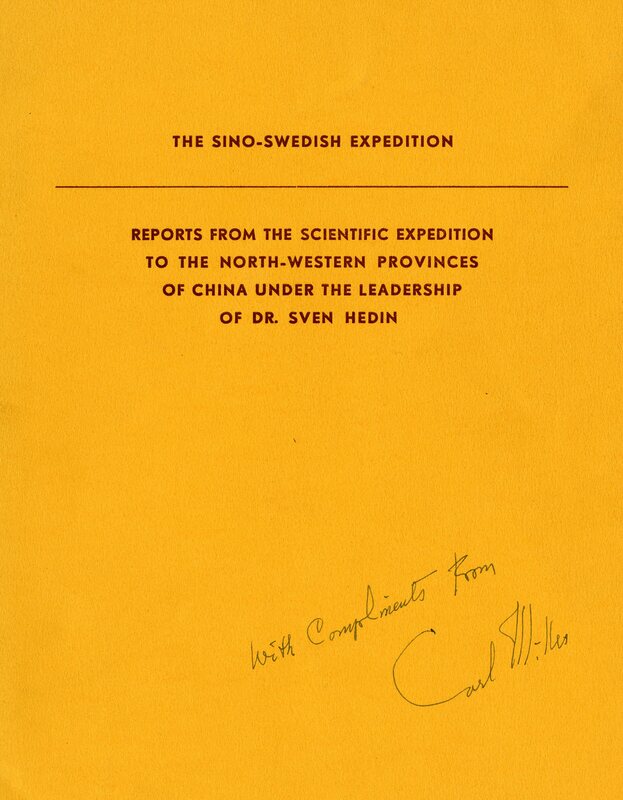 Dr. Hatt’s travel diary, 1952-1953. Courtesy Cranbrook Archives. We are excited to share this unique collection that documents communities and antiquities which may no longer exist. Users can browse the collection image by image, or use the Search box at the top of each page in the online database. To browse the 400+ images in the collection, click the Browse All button (next to Home). Dr. Hatt (right) and an unidentified man in Babylon. We hope you enjoy this new collection! 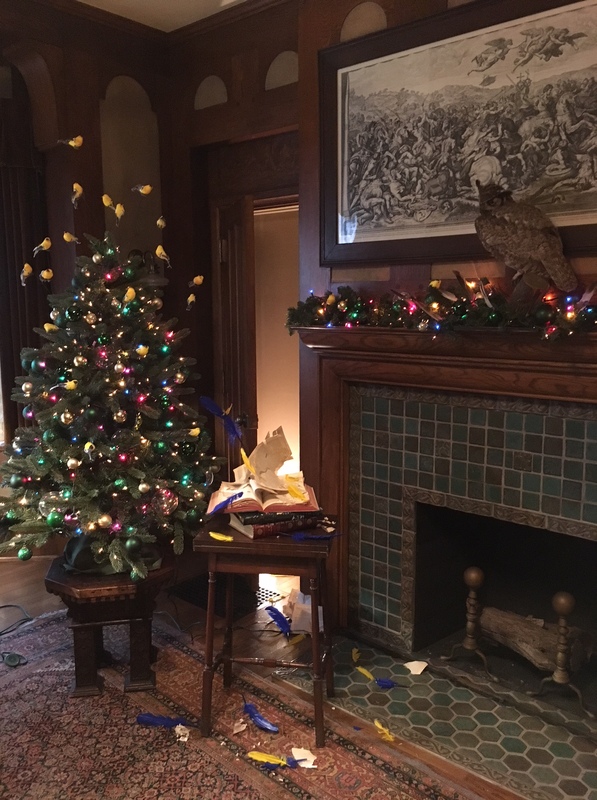 Special thanks to Archives Assistants Veronica Wood and Kaitlin Scharra Eraqi for their hard work and the many hours they spent on this project. While many of us know that George Booth’s acquisition of a mineral collection formed the nucleus of the Institute of Science, who knew that Cranbrook once maintained a zoo? 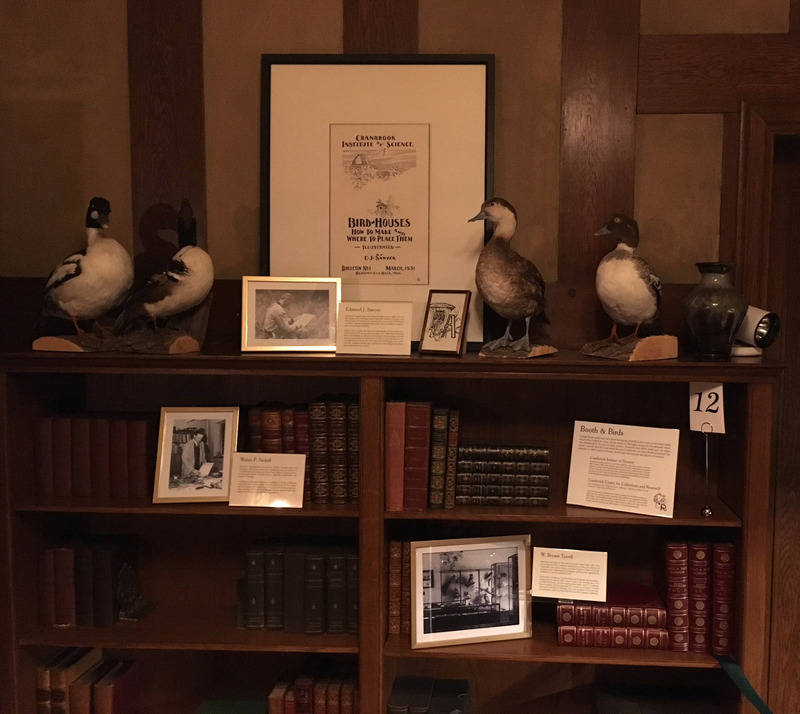 In 1929, Cranbrook’s “Natural History Museum of the [Cranbrook] Foundation” was established (it was the pre-cursor to the Institute of Science) with naturalist W. Bryant Tyrrell as the director. 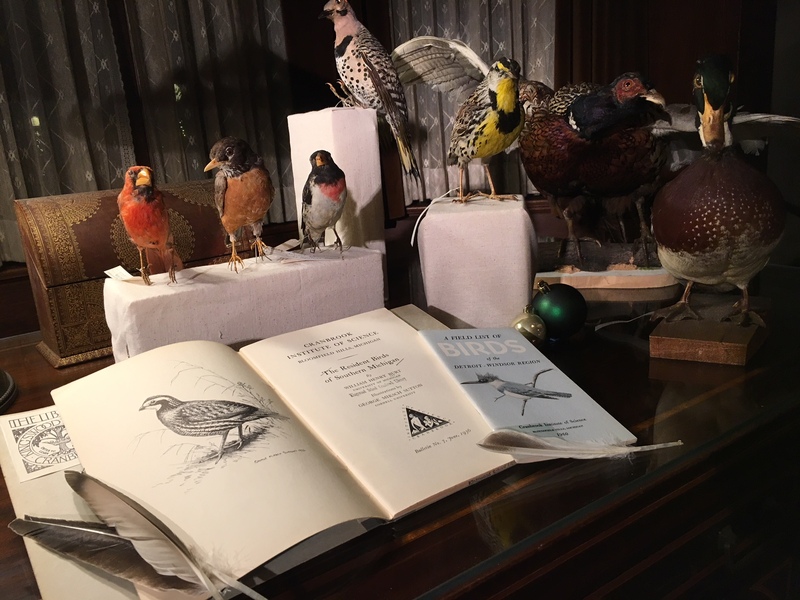 In addition to the mineral collection, Cranbrook’s “modern scientific” museum also had a small collection of taxidermied birds and mammals which were housed in what is now the Academy of Art administration building. A workshop was set up in the basement which doubled as a preparation space and classroom where Tyrrell taught Cranbrook School boys about natural history. Tyrrell was also instrumental in designing the science portion of Cranbrook’s first exhibition space. When the first science building (designed by George Booth) was constructed in late 1930 on Sunset Hill, plans were made for a small zoo which would eventually house smaller mammals, reptiles, and amphibians of the Great Lakes Region in “pens of modern design.” With Tyrrell’s experience as a taxidermist and naturalist at both the Field Museum in Chicago and the Detroit Children’s Museum, Cranbrook’s Natural History Museum found itself the recipient of live raccoons, snakes, frogs, and even a mother skunk and her babies. 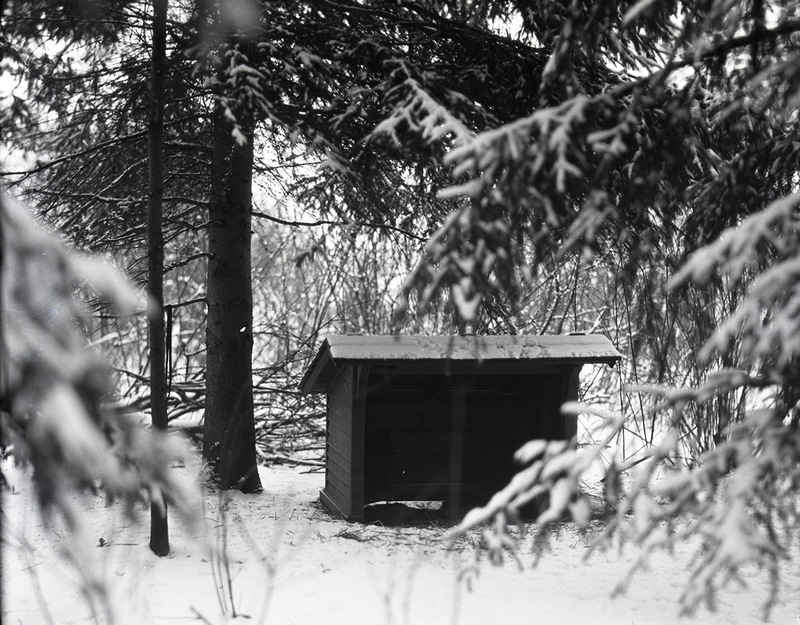 Feeding Shelter, Mar 1930. W. Bryant Tyrrell, photographer. Courtesy Cranbrook Archives. However, not all were so enamored with the idea of live animals including George Booth, especially when a black snake was found in the hallway by one of the secretaries who fainted in fright! And, in fact, the Institute did not have the resources to support a really good zoo. Ultimately, several factors contributed to the demise of the short-lived zoo including a new curator for the museum (which led to Tyrrell’s resignation in June 1931) and the formal establishment of the Institute of Science in 1932. The national-wide financial crisis and the Bank Holiday of 1933 put a final end to Cranbrook’s brief foray into zookeeping.